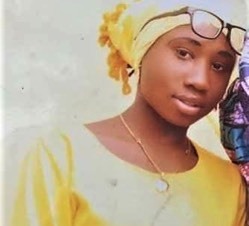 Boko Haram refused to release Leah Nathan Sharibu, 15, because she would not renounce her faith and convert to Islam, according to released Muslim girls. The Rev. Jeremiah Gado, president of the Evangelical Church Winning All (ECWA), said in a press statement on Friday (March 23) that her parents are members of the ECWA congregation in Dapchi, Yobe state, in northeast Nigeria. An Australian church was told that they could not use the word “Jesus” in their advertisements for their Easter church events. Five members of a Christian family in northeast Pakistan were attacked and injured as they helped to build a boundary wall around their church on Sunday, 4 March. The pastor of the Pakistan Gospel Assemblies church in Yousufwala village, on the outskirts of the Punjabi city of Sahiwal, told World Watch Monitor that around 20 armed men attacked the church members as they built the wall ahead of the Sunday morning service. The Islamic State has released a propaganda video, vowing to wipe out Egypt’s Coptic Christians and “liberate Cairo”. PRAY that God may intervene. Malaysia’s highest court dismissed an appeal today (27 February) against four appellants who wanted to be formally recognised as Christians. The five judges of the Malaysian Federal Court ruled that in matters of conversion away from Islam, it was necessary for them to consult the Islamic Sharia courts. Nigeria—Boko Haram, the Islamic terror group in Nigeria that has slaughtered tens of thousands of people, among them Christians, has kidnapped 110 schoolgirls in a recent raid, state officials admitted… Click here to read. Hindu extremists in southern India issued harsh threats to Christians distributing Bibles before snatching their car keys, taking Bibles out of their vehicle and setting the Scripture on fire, sources said. Since December, 25 out of the 45 churches affiliated to the main Protestant Church body in Algeria have been visited by a committee of officials from the Ministry of Religious Affairs, national gendarmerie, and intelligence department. Local authorities in Algeria’s north-western city of Oran have closed two more churches amidst growing pressure on Christians in the Maghreb country. There was a time, during the reign of Franco, when Spain was arguably more Catholic than Italy. Evangelicals were forbidden to evangelize, meet outside their homes or print religious materials. Nevertheless a small band of fervent faith grew mostly in the independent region of Barcelona. But now, the country – technically and symbolically part of the so-called 10-40 window most resistant to the Gospel – is experiencing unprecedented revival. Two new churches open every three weeks, and there are now 4,045 houses of worship, according to a new survey. More than 80 new places of worship opened in the last six months of 2017, according to the bi-annual report of the Observatory of Religious Pluralism of Spain’s Justice Ministry. Christians and Jews brought together for first time in Israel’s Knesset Bible Study: amazing! Historic! (Israel) — [CBN News] A first-time Bible study in Israel is being called a fulfillment of Scripture. In an historic move, Christians joined Israeli Jews this week in the Knesset to study the Word of God. Many believe it’s a significant step toward unity. Rabbi and Knesset member Yehuda Glick hosted the study. Some 200 Jews and Christians attended the event, cosponsored by the Knesset Caucus for the Encouragement of Bible Study, the Schindler Society and Israel365. “This sword has been passed down from chief to chief for a thousand years.” He handed the sword to the film team and said: “I am no longer a tribal chief. I’m handing over my life, my ways and my sword to you. I’m going to follow Jesus.” Through his influence the team went on to show “JESUS” in all the villages. Within two weeks, several hundred house churches were planted … all in a militant area! Some of the principal members of that team — who worked with the evangelist for decades — reflected over the years on their experiences with Graham in interviews with Religion News Service. Shea became Graham’s soloist in 1947 and sang at his 2005 New York crusade, rarely missing any in between those dates. Shea died in 2013 at the age of 104. When Graham approached Shea about being a soloist for his evangelistic meetings, Shea clarified early on that his role was to sing, not to preach. “I said to him: ‘You’ve asked me to come to sing before your message and I’ve heard about gospel singers, that they will do a verse or two and stop and … preach a little bit, talk for a few minutes. Would I have to do that?’” Shea recalled almost 60 years later in 2005, when he was 96. The man known to friends and admirers as “Bev Shea” remembered how Graham’s evangelistic meetings often lasted more days than originally planned. Then, in 1957 in New York, the crusade originally slated for six weeks lasted 16 instead. “The local committee kept saying, ‘Madison Square Garden is still available and people are coming. Please stay on, Mr. Graham,”‘ Shea recalled. As the team that long included Graham, Shea and music director Cliff Barrows reconnected each morning during their trips across the U.S. and abroad, Shea said fellowship, laughter and prayer were part of what kept them united. They would eat together, take walks together and plan music together. Decades later, Shea seemed to marvel at how he once thought he would live his life in relative obscurity as an announcer on WMBI, a Chicago radio station. Shea was recognized with a Lifetime Achievement Award during the 2011 Grammy Awards. Barrows served as director of music for Graham for more than six decades and hosted Graham’s “Hour of Decision” radio program for most of that time. Barrows died in 2016 at age 93. When the Graham team drew up what was called the Modesto Manifesto, a series of principles the ministry has long lived by, Barrows was there. “He said, ‘Let’s go back to our rooms and think about evangelists of the past and the pitfalls that have been stumbling blocks and brought disrepute to the cause of evangelism,’” Barrows recalled Graham saying back in 1948 when they were in the California city for a crusade. They regathered and talked about integrity, accountability and “purity of life,” said Barrows, who one time served as president of the ministry’s World Wide Pictures. “He covenanted then to never ride alone in a car with a woman who wasn’t his wife,” Barrows recalled of Graham. Another tenet was humility, even in the face of pastors who weren’t supporters, such as some fundamentalist preachers. “Billy always respected the pastor and he never spoke ill will of any pastors, even though some may have been harsh in their criticism against him as a young man,” Barrows said. Bailey served more than 20 years with the Billy Graham Evangelistic Association, including as crusade director of the 2005 New York crusade and, prior to that, as director of counseling. Though Bailey calls himself “one of the shorter-term guys” as a team member, he said a shared philosophy between Graham and his corps of ministry workers helped keep the organization’s staffers committed to it for decades. “Billy was the type of person who recognized early on that he could not do everything,” Bailey said. Back at the time of Graham’s 1957 New York crusade, the evangelist participated actively in counseling those who came forward when he invited them to dedicate or rededicate their lives to Christ. 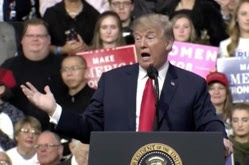 “It was taking so much out of him, he finally determined that he had to turn that over to someone else,” said Bailey, now 73, in a 2005 interview. The intentional delegation of that task and others paid off for Graham in the years after that. Beyond delegation, he said the organization benefited from a five-point plan that incorporated prayer, organization, training, follow-up and discipleship, which led people to “begin to build Christ in their life.” Details of that plan ranged from having volunteers pray “over every seat” before a crusade started to helping those who made a commitment to affiliate with a local congregation. Last week all our children were home along with their spouses and our eight grandchildren. We live on a ranch in the mountains so coming home to visit Gramma and Papa is filled with lots of adventures and feeding the animals. Getting older brings a clarity to what’s important. While we want our grandkids to remember their times on Papa’s farm, we want to leave them with a godly legacy. With this goal in mind, let’s look at 10 things every grandparent should tell their grandchildren. 1. I’m so glad God made you. Our grandkids are growing up in a world that does not acknowledge God as their Creator, so it’s vital that parents and grandparents regularly remind them how God carefully designed them in their mother’s womb. 2. I will always listen to you. If you want to have the privilege of speaking truth to your grandkids, you have to earn that honor by being a good listener. Too many grandparents spend little time in conversations with their grandchildren until they see them making mistakes or choosing a wrong path. If the only time you engage with your grandchild is to correct them or point out what you don’t like about their attitude or attire, don’t be surprised if they’re not interested in listening to your wisdom when they become adolescents or young adults. Jesus Loves the Little Children is the song at the top of my 3-year-old granddaughter’s request list whenever she gets tucked into bed at night. I often bend over and kiss her forehead as I sing, “Red, brown, yellow, black and white, they are precious in His sight” to show her how precious she really is to Jesus and to me. Kids long to believe they are precious. And while God puts in the heart of every person a longing to find their worth in being loved deeply by their Creator, He has also created us to love and be loved by others. The more valued your grandchild feels by you and your family, the more they will be empowered not to seek affirmation by their peers by succumbing to peer pressure. It may seem logical to teach kids about Christianity by telling them what the Bible says they should and should not do. And it is right to train them to honor and obey God’s commands. But if we focus only on the list of dos and don’ts, we miss the wonderful opportunity to introduce our grandchildren to the depth of Jesus’ great love for them. Kids learn best how they are loved when it is demonstrated to them through loving actions. Saying “I love you” without showing love can feel like empty words to a child––or anyone really. In the same way, God, who is the perfect loving Father, displayed the depth of His love by sending his only Son whose sacrifice would pay the price for our sin. Reminding your grandchild of how God lovingly offers new life in Christ to anyone who would turn from their sin to follow Jesus is a great way to help them realize how great the Father’s love is for them. 5. God has a plan for your life. From the time kids are little, people begin to ask them what they want to be when they grow up. Some children have a definite plan, like our oldest son who dreamt from a young age of being a fighter pilot in the Air Force. He grew up and did just that. But for most kids, their goals change daily––and that’s okay. But deep in their little minds, and this grows more intense as they reach adulthood, your grandchildren give a lot of thought to what they should do with their lives. I share this story to remind you of the power of your words as a grandparent. You can pour courage into your grandkids to follow God’s plan for their lives if you remind them of how God saved them unto good works that He has ordained in advance (see Ephesians 2:8-10). Exposing your grandkids to Bible stories and good biographies of people who wholeheartedly followed Christ is a great way to inspire them to trust that God has a plan for their lives too. 6. Loving God is the secret to loving others. Loving others selflessly does not come naturally. Just spending an afternoon watching your grandkids take each other’s toys confirms this truth. But there is a way to train your grandkids to love others in a way that is truly selfless. When the religious leaders asked Jesus what was the priority of life His response was, “You must love the Lord your God with all your heart, soul, mind and strength.” And then He said the second commandment was to love others as we love ourselves (see Mark 12:30-31). All too often we attempt to love others without first growing the depth of our love for God. When this happens loving others is usually a difficult task. But when people first determine to spend the rest of their lives discovering God’s character as revealed in Scripture, their trust and love for Him will grow as they learn His ways. The more deeply you love God, the more freely His selfless love will spill out of your heart and onto those around you––even on those who are difficult to love. And don’t you want this to be the example of love your kids learn from you their grandparent? Jesus said, “The student will become like his teacher” (Luke 6:40). Your grandchildren will learn to love by how they observe you loving others––not by how you tell them they should be treating people. You will bless your grandchildren if you teach them the secret to loving others deeply is not found in how well they measure up to your expectations, but in how well they love God. And let it begin with you. 7. Be quick to forgive. Learning to quickly forgive others and to think well of them are valuable lessons to teach your grandchild. It is in our sinful nature to hold onto grudges and to assign wrong motives to people’s actions. But by God’s grace and the Spirit’s power, we can break free of these unpleasant sinful practices to become a person who is ready to forgive––and looks for the best in others. Wouldn’t you agree that the best friendships are with those who you trust to believe the best about you? Helping your grandchild discover this valuable secret will equip them to become someone others will not only like to be around, but also trust to be a loyal friend. 1 Timothy 6:6 says, “Godliness with contentment is great gain.” In a generation where your grandkids will be influenced to believe they’re entitled to more of whatever their little hearts desire, training them this valuable secret of contentment will do more to equip them for a happy life than all the gifts you might lavish upon them. Trust me, I’m a grandparent who loves to pile gifts on my grandkids. But a wise grandparent will balance generosity with training them to be grateful for what they have. Ask God for His wisdom to help you guide them in godliness and contentment––beginning with your own example. 9. I’m praying for you. When I was a young girl, I’d awaken each morning to the smell of coffee. As I dragged my sleepy self out of bed, I’d walk past the living room where I’d see my father on his knees praying for our family. (To this day the smell of coffee brings a warm reminder of those mornings.) I cannot tell you the security I felt knowing my daddy was daily interceding before God on our behalf. I learned from his example the power of prayer. So naturally when I had children, praying for them became a regular practice. These days my children are grown, married, and have kids of their own. My father continues to pray for my kids, their spouses, and their children. My eldest daughter recently said, “Mom, Papa’s prayers are precious to me. I love knowing that he and Oma are daily praying for me and my family.” One of the most powerful legacies you can leave your grandkids is training them by example the importance of prayer. 10. Tell others about the hope of Jesus. Do your grandkids hear you complaining about how the world’s going to hell in a handbasket? Or do they sense your burden for the lost who are blinded by the enemy? It’s easy to point out what’s wrong in the world today––and we should help our grandkids learn to discern right from wrong. But couple those comments with your deep sorrow over the lost. And how their only hope for salvation is if we tell them God loves them so much He sent His Son to save them from their sin. In this way you’ll train them not to grow overwhelmed with anxiety, but rather to ask God to use them as a light shining like a star in a crooked and perverse generation (Daniel 12:3, Philippians 2:15). For in this, your grandchildren will find purpose in life and hope for the future. And I promise you won’t regret it! Rhonda Stoppe is the NO REGRETS WOMAN with more than 30 years experience of helping women build a no regrets lives. Rhonda is the author of six books and appears on numerous radio programs including FamilyTalk, Focus on the Family, Family Life Today and hosts The No Regrets Hour. She speaks at women’s events, Pastor’s Wives Conferences, MOPs, and homeschool conventions. Rhonda ministers alongside her husband Steve, who pastors First Baptist Church of Patterson, California. They live out their own Real Life Romance writing books and speaking at their No Regrets Marriage Conferences, but their favorite ministry is their family. To learn more about Rhonda’s speaking topics, watch her teaching, and to book Rhonda for your next event visit NoRegretsWoman.com. Welcome to the website for News for Praise and Prayer.